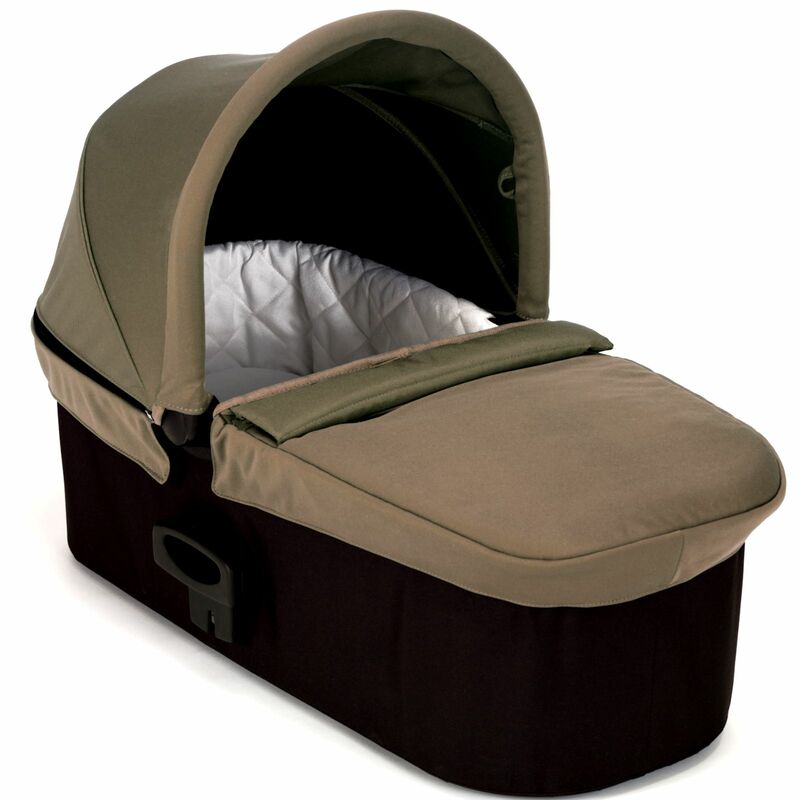 The Baby Jogger Deluxe Pram offers your newborn a soft and comfortable spot in which to rest. Fully equipped with a luxurious quilted interior and equipped with a large vented sun canopy (with a UV 50+ rating), a pop out sun visor and a wind guard to protect baby from the elements. The plush mattress pad has a machine washable cover and stays cool in summer months with an air vent in the base of the pram to increase air flow. The Deluxe Pram is compatible with the City Mini, City Mini GT, City Elite, City Mini 4 & the Summit X3.